My name is Lissa Reyden. I’m 29 years old and I’m from a town in Auckland called Swanson, located near the stunning black sand beaches of the wild west coast. I have always loved being out on the water and feel that there is something so incredibly special about being out there it’s just fantastic. I feel very lucky being able to integrate my love for the ocean and sailing with photography. 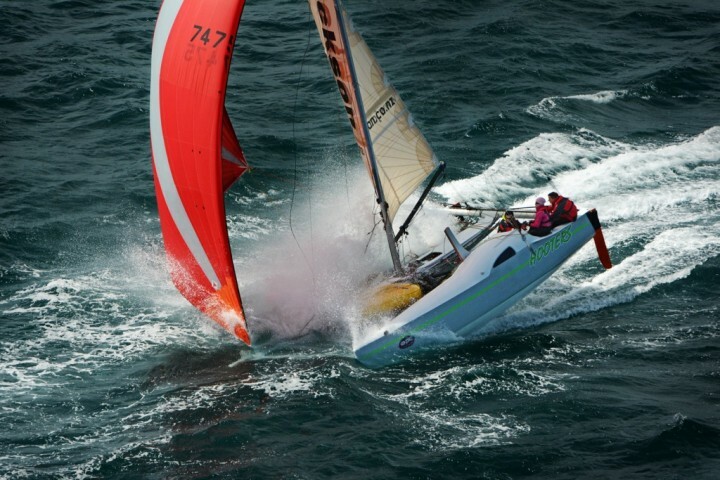 I have covered many sailing events in Auckland and throughout NZ as well as worked with a variety of marine businesses and manufactures doing commercial shoots. New Zealand is a great place for yachting and the scenery is breathtaking. I love heading out in inclement weather and capturing the atmosphere of the dark clouds, sheets of rain passing by and the chance of getting a perfect beam of sunlight breaking though the clouds, although my camera gear is not usually very happy about those kind of days but it’s worth it. Being out on the water is my happy place and I love going out cruising, doing the odd race and I have crewed a couple of passages from Fiji to NZ, always bringing my camera of course. I am looking forward to the Americas Cup and all the excitement that comes with it here in Auckland in 2021.